While gluten-free-friendly chef Marc Vetri and others plan on opening higher-end restaurants at the Moorestown Mall, apparently there's still room for more humble fare. 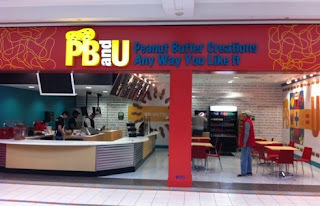 PB&U's second location opened at the mall yesterday (400 Rt. 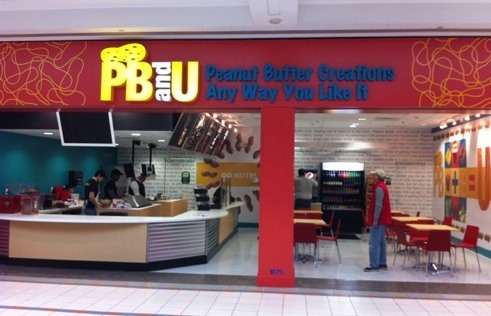 38, 856-234-5300) and, like the original in Wayne, the new spot has gluten-free bread and uses a separate toaster, utensils and ingredients to make your sammich. The mushroom capital of the world - Kennett Square - is home to the aptly named Portabello's (115 W. State St., 610-925-4984). The restaurant's gluten-free menu includes pasta, bread and dessert. Vedge, a new addition to the scene in the Washington Square West section of Philadelphia (1221 Locust St., 215-320-7500), can accommodate gluten-free diners. All of the sandwiches at Center City's Pure Fare (119 S. 21st St., 267-318-7441) are now made with gluten-free bread from Toté Bakery. 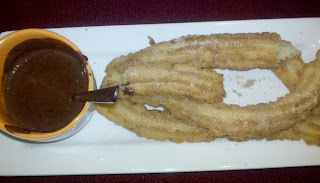 I raved about the breads and other baked goods from Toté in Tuesday's post. 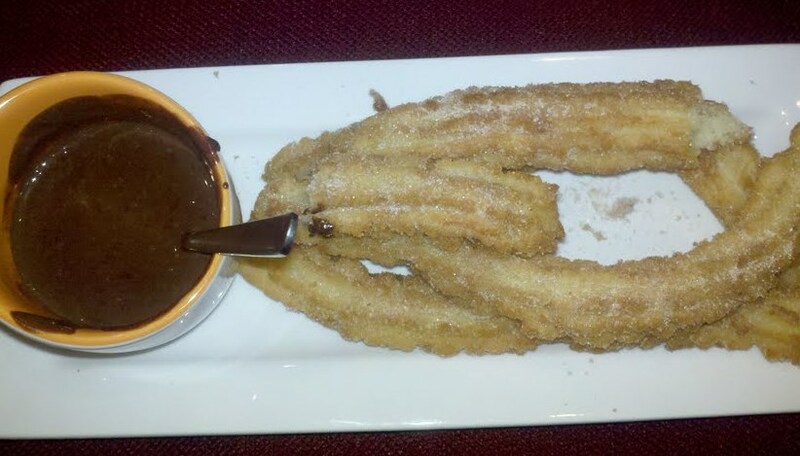 The wonderful family-owned Venezuelan cafe Sazon in Northern Liberties (941 Spring Garden St., 215-763-2500) is now frying up gluten-free churros. Thanks to reader Heather H. for the tip and the photo. Heather also let me know that Le Pain Quotidien's two Center City locations (801 Walnut St., 215-253-3114; 1425 Walnut St., 215-751-0570) are serving tartines on certified-gluten-free crackers. Mt. Airy's Food For All (7127 Germantown Ave., 267-297-7122) reopens today and will host a party (with DJ) tonight from 6 p.m. to 10 p.m. The Foodery in Center City (324 S. 10th St., 215-928-1111) and Northern Liberties (837 N. 2nd St., 215-238-6077) stocks Dogfish Head's new Tweason'ale. McMenamin's Tavern in Mt. Airy has all three New Planet gluten-free beers (thanks Katie F.), while Varga Bar (941 Spruce St., 215-627-5200) has carries the brewery's 3R Raspberry Ale (thanks Sherrie S.). The lovely ladies at Philly's Sweet Freedom Bakery (1424 South St., 215-545-1899) are preparing treats for Valentine's Day, including heart-shaped cookies and donuts and red velvet cupcakes. Call by Sunday, February 12 to place holiday orders. Cookies, muffins and cupcakes from allergen-friendly bakery Sweetness are now available at Buonissimo Market in Blue Bell (700 Dekalb Pike, 610-270-9100). All of the meats and cheeses sold at Wegmans deli counters have no gluten ingredients, although the stores caution that there is a risk of cross-contact. Many people who are diagnosed with celiac disease also have iron-deficiency anemia. What is less commonly known is that many of those individuals exhibit a craving for large amounts of ice or ice water. Researchers at the University of Pennsylvania are looking for participants for a study on this subject. More information is available here. The newly formed Berks County Meet-Up Group (that's the Reading area) will get together at Good Eatz at 1 p.m. tomorrow, while the Chester County Gluten Intolerance Group chapter will host a free "Gluten Free 101" class at Brandywine Hospital in Coatesville on Wednesday at 7 p.m. Registration is a must for both events. Hope that's enough to satisfy your appetite for one week. Have a great weekend! Pity about that Tote bread - it covers just about every food allergy in our celiac family! Amaranth, sorghum, coconut: there's not one of their products we can eat. 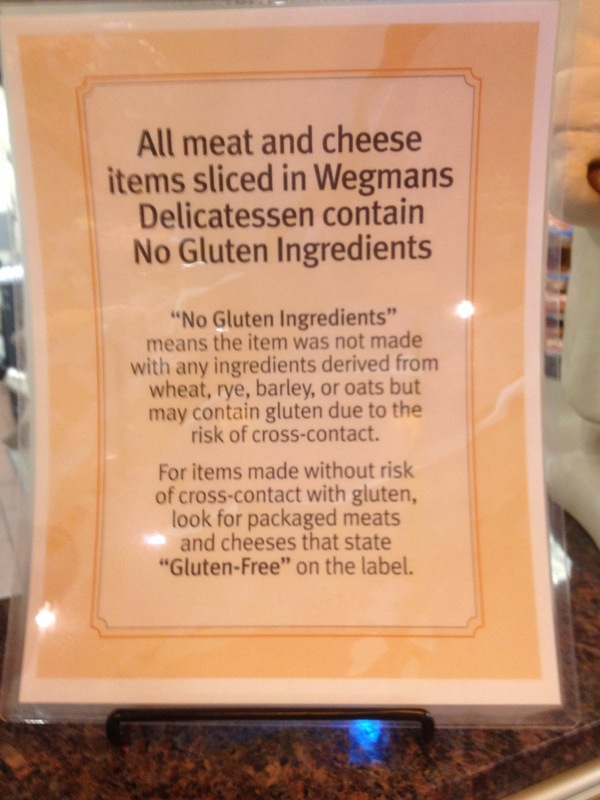 As the grains used in GF products continue to diversify, I suspect more folks are going to identify other grain allergies/intolerances. Just last week I heard a long rant by a woman who was positive a GF bread from a GF bakery had gluten in it - because she reacted to it. She didn't want to hear it when I tried to explain that her reaction only proved that she was sensitive to something in the bread, not what the "thing" that she reacted was and her reaction certainly didn't prove that this GF bakery was contaminated.